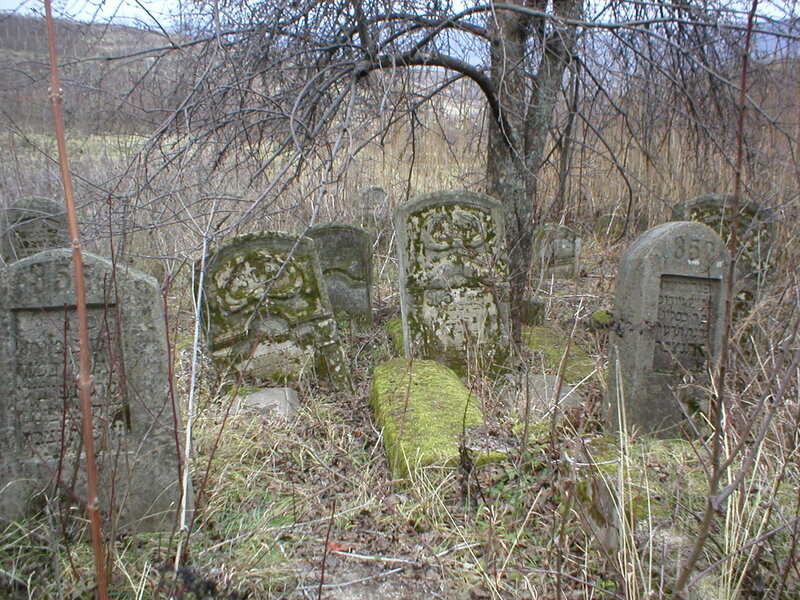 In May 2011, Marcel Glaskie went for the third time to Raducaneni where he engaged six local labourers to work for a week in the Jewish cemetery as part of a personal restoration project. Their task was to cut down the trees and wild, overgrown vegetation in order to expose all the gravestones and then to clean the inscriptions on the stones. When this was done, Marcel Glaskie surveyed the area and drew up a detailed plan of all the graves. He took photographs of all the graves with visible inscriptions and it is hoped that they will appear in this site in the near future. 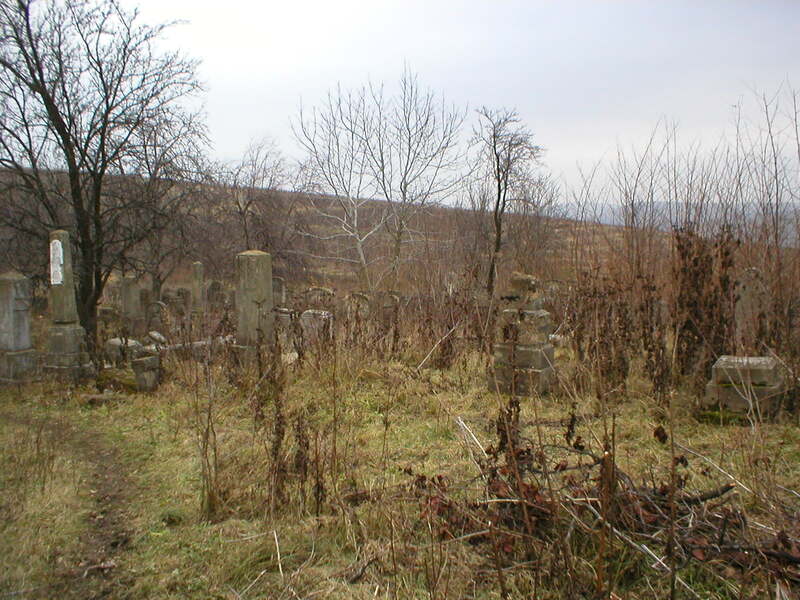 Marcel Glaskie found an area with gravestones relating to the earliest days of Jewish settlement in Raducaneni and is reasonably convinced there is only one Jewish cemetery. The results of his research contradict the official surveys which claim that there are two cemeteries in the small township. 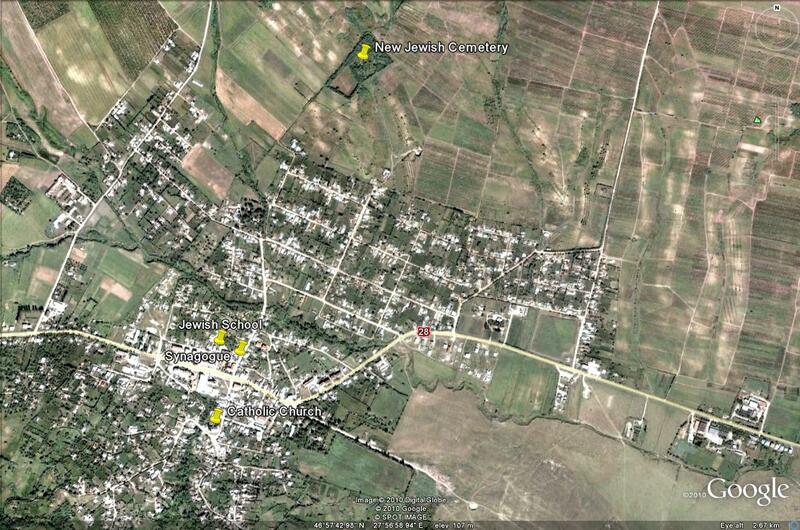 Details of the cemetery as it is today appear below. In September 2011, Marcel Glaskie went for the fourth time to Rǎducǎneni, where he engaged eight local labourers to work for nine days in the Jewish cemetery, as phase two of a personal restoration project, sponsored by Jewish families from around the world, who originated from Rǎducǎneni. 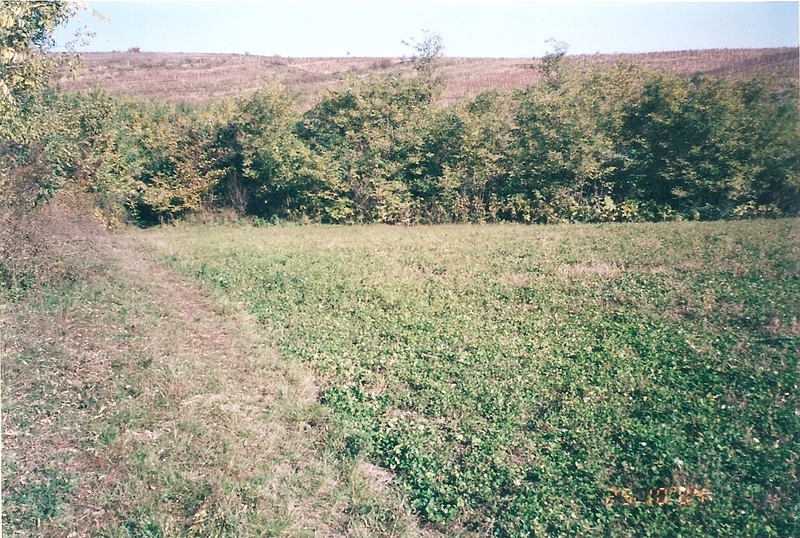 On entering the cemetery, it was discovered that part of the area which had been cleared in May 2011 had become a new jungle. On close examination, it was discovered that in the area in which all the vegetation had been cut down to earth level, seeds had germinated in the clean soil and new shoots nearly two meters tall had sprouted. 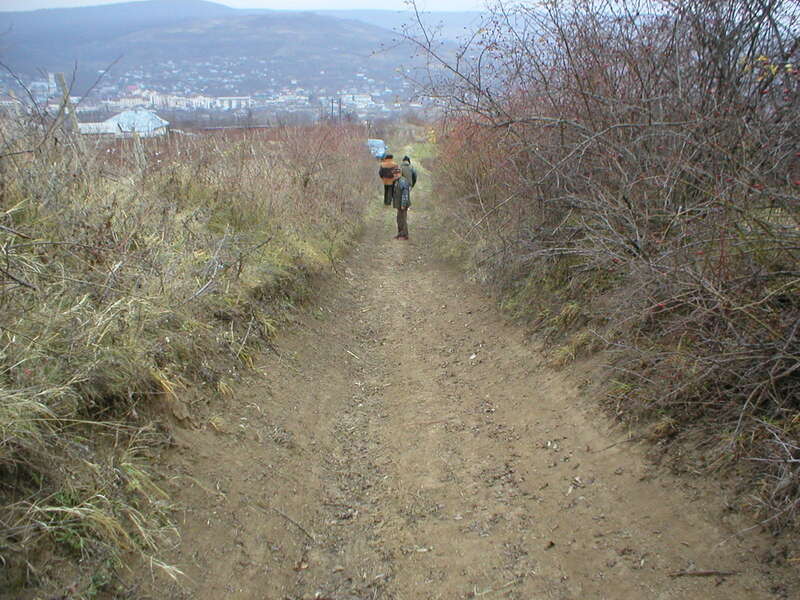 In the areas where a light ground cover of grass had been left, there were very few new weeds or trees. It took two days for six men to clear away the new vegetation and to leave a light ground cover of grass. I hope this will be sufficient to ensure minimum growth of new vegetation before my next visit in the spring of 2012. In the nine working days at our disposal, most of the time was spent in the cemetery. 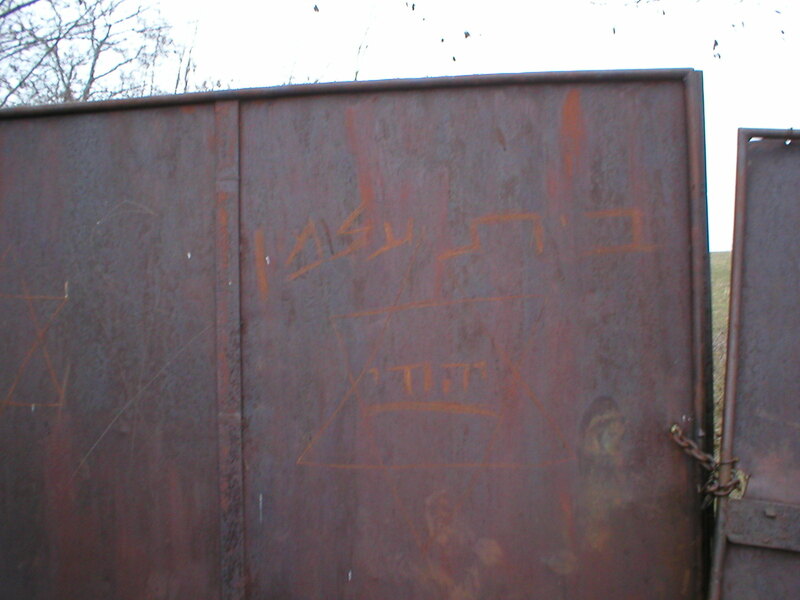 The main gates to the cemetery were painted in blue and a white Magen David stencilled on the face of the gate. There had been an error in the original date of the establishment of the cemetery so an extra sign correcting the error was affixed. In order to allow Mr. Ion Balint, the official key holder, easy access to the cemetery, a personnel gate was made and fixed on the north east side. A lot of time was spent in restoring graves, recording graves and searching for graves. The work was very varied and very time-consuming but there came with it the excitement of discovery. Some was routine, just sheer hard work: the damaged metal railings around some of the graves were re-assembled and secured: all the fallen grave stones in the cemetery area were lifted and set in place neatly, either in their correct location according to their numbers, or in the location where they were discovered. Photographs of the inscriptions were then taken. But there were also surprises. 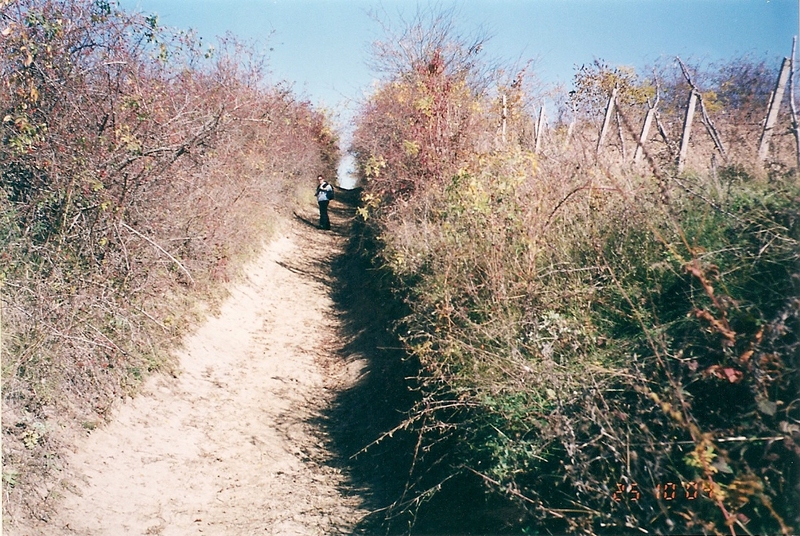 Trees and vegetation in the area thought to contain the graves of suicides were cut down and cleared. 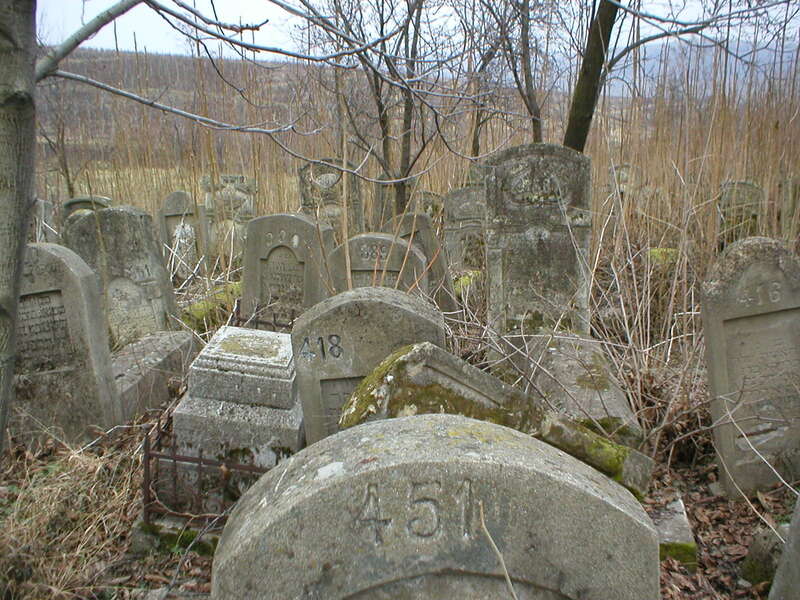 In the process, a large number of small grave stones, probably marking the graves of children, were exposed. A large area of vegetation to the north east of the general area of graves was cleared and approximately 50 more graves were discovered. Many of them were covered by 30 cm. of earth which had piled up, washed down by the winter rains. There are probably many more graves still covered by this movement of earth as a result of erosion. In an area north west of the general area of graves, approximately ten grave stones all in matching design were discovered. Their inscriptions, in Hebrew, stated that the deceased laid to rest here had been murdered, probably in a pogrom. Altogether, several hundred grave stones were cleaned and their inscriptions photographed. I also had time to re-examine the area of the original entrance and I found the foundations of a second building It is likely that this was once the home of the caretaker to the cemetery. In the village itself, I wanted to mark the last remaining buildings that were once connected with their Jewish past. I had taken from Israel two signs, each written in three languages, Roumanian, English and Hebrew. These signs, each indicating an ancient monument, one for the Jewish school and one for the building that once housed the last old synagogue, were affixed by the Mayor to the buildings. At this point, on Tuesday the 13th of September, I organised a triple dedication ceremony at the Jewish cemetery, the Jewish school and the old synagogue, followed by a reception, attended by 100 people including the Mayor and town council, the administrators of the schools, and the citizens who had assisted me on all my visits. The president of the Iasi Jewish community, with the Cantor and members of the Iasi community, together with the President of the Husi Jewish Community and members of the Husi community, also participated in the dedication ceremony. Cimitirul evreiesc localizat la 2.2 km centrul comunei, pe dealul dinspre nord-estul comunei, rămâne o dovadă vie a poporului evreu care a dominat viaţa în Răducăneniul secolului XIX. Comunitatea originară evreiască, invitaţi de Hatmanul Răducanu Roset, vine probabil în Răducăneni, pe la 1830, din Galiţia pentru a constitui un centru comercial la jumătatea drumului dintre Iaşi şi Huşi. După spusele domnului Ion Balint, îngrijitorul cimitirului evreiesc, aici sunt 570 morminte evreieşti. Majoritatea pietrelor de mormânt au numărul parcelei gravat pe faţa monumentului. Cu toate acestea, numărul nu face referire la data înmormântării. Este evident aşadar că oamenii din comunitatea evreiască şi-au inscripţionat mormintele cu mult înainte de a muri, probabil pentru a finanţa preluarea pământului şi a locuinţei, precum şi întreţinerea cimitirului evreiesc. De exemplu, parcela nr. 1 aflata în vechiul cimitir poartă inscripţia Natan Engelberg şi datează din 12 Tamuz 4677 adică iulie 1918. Cel mai vechi monument funerar din cimitir se pare că este cel cu nr. 148, aflat în noul cimitir. Data de pe piatra de mormânt este 19 Tamuz 5626, adică iulie 1867. Pe inscripţie scrie "Băiatul Chaim David fiul lui Yehudah Leib" (Nu există un nume de familie precizat). Ultima piatră de mormânt este a lui Moise Malca şi datează din 16 aprilie 1983. Cimitirul cuprinde 2.62 ha şi e înconjurat de un gard modern fixat în beton, cu porţi metalice în colţul dinspre sud-vest, care înlocuiesc gardul original din lemn. Intrarea originală (iniţială) era la 214 m dincolo de actualele porţi. Chiar la intrarea era o dată o capelă (Ohel în ebraică). Această construcţie a fost cea folosită pentru a spăla şi pregăti trupurile pentru înmormântare (Tahara în ebraică). Era de asemenea folosită pentru scurte servicii memoriale înainte de înmormântare. Capela avea apă de la un izvor din apropiere. Lângă capelă se află o piatră de mormânt neinscripţionată, care a fost probabil locul tradiţional pentru a îngropa cărţile de rugăciuni sau alte înscrisuri sacre, care conţineau numele sacru al Creatorului (Geniza în ebraică). In mai 2011, Marcel Adrian Glaskie, un urmaş a unei familii evreieşti din Răducăneni, a îndrumat un larg proiect de restaurare şi supraveghere a cimitirului evreiesc, cu ajutorul unui grup local format 5 muncitori. Ierburile au fost tăiate, iar pietrele de mormânt au fost curăţate şi catalogate. Pentru el, a fost o misiune personală sentimentală de a scoate la lumină lumea strămoşilor săi şi de asemeni un serviciu public de arăta o importantă perioadă din istoria Răducăneniului. the magazine of the Orthodox Community. Domnul Marcel este acum bine cunoscut la Răducăneni. Cu un suflet larg şi cuceritor, cu un zâmbet la fel, plin de o energie şi vitalitate uimitoare, Domnul Marcel ţi se pare cunoscut de-o viaţă. Nu vorbeşte româneşte (deşi cred că înţelege mai multdecât vrea să arate! ), ci o engleză fluentă - atotcuprinzătoare, căci o exprimă nu numai prin lexic, cişi cu ochii, cu mâinile, cu mimica expresivă, încât îl înţelegi. chiar dacă n-ai învăţat engleza. A cercetat arhive, a vorbit cu oameni, a format echipe de colaboratori şi a pus în aplicare gândul de recunoaştere faţă de strămoşii săi (aăci, din câte ştiu, străbunicii dumnealui au locuit în Răducăneni). A curăţat Cimitirul Evreiesc, năpădit de tufişuri, a ordonat cât s-a putut monumentele funerare, a împrejmuit terenul şi a pus poartă, la care străjuiesc (deocamdată) două prăştini cu drapelele românesc şi al Israel. Pe poartă este o placă pe care scrie în româneşte, în engleză şi ebraivă faptul că acolo este Cimitirul Evreiesc - monument istoric. Mai mici, dar tot în trei limbi şi cu acelaşi conţinut, sunt plăcile puse pe zidul Şcolii Nr. 2 şi pe... stâlpul de electricitate de lângă Vechea Sinagogă (n-am înţeles bine cine şi de ce a refuzat montarea pe zid). "אתם מוזמנים" זה מה שהיה רשום בהזמנה שקיבלתי ממר מרסל אדריאן גלסקי, יהודי נלהב שפעם זה, כמה חודשים לשיחזורן הטבעי של שלוש מצבות הזיכרון ההיסטוריות ברדוקנני, שהן עדות לקיום 200 שנה של קהילה יהודית רבת עוצמה. האירוע נערך ביום שלישי, ה13 לספטמבר, 2011, בו הוצגו שלושה לוחות הנצחה עם כתובות בארבע שפות: רומנית, אנגלית, יידיש ועברית, המסמנים את בית העלמין היהודי, בית הספר היהודי (כיום בית ספר מס. 2) ובית הכנסת הישן (כיום נגריה' צ'זר בולאי). מר מרסל גלסקי הוא דמות ידועה ברדוקנני. הוא איש עם נשמה גדולה ומקסימה, עם חיוך רחב ובעל אנרגיה וחיוניות מדהימה. נראה לנו כאילו שמר מרסל חי בקרבנו מאז ומעולם. אמנם הוא אינו דובר רומנית (אם כי לדעתי הוא מבין יותר ממה שהוא רוצה לגלות לנו...) אבל הוא דובר אנגלית שוטפת ומקיפה, שכן הוא מתבטא לא רק באמצעות המילים, אלא גם באמצעות עיניו, מבטו, ידיו ותנועות גופו, כך שאתה מבין אותו גם אם לא למדת אנגלית מעולם. הוא חקר בארכיונים, דיבר עם אנשים, הקים צוות עובדים, יישם בפועל את החקירה אחר אבותיו (ככל הידוע לי, כאן ברדוקנני, התגוררו סביו). בית הקברות היהודי, שלפני בואו היה מוצף בשיחים, נוקה. מר מרסל עשה ככל יכולתו לסדר את מצבות הקבורה, גדר את שטח בית העלמין והתקין שער, שלצדיו מוצבים שני עמודים הנושאים שני דגלים, אחד של רומניה ואחד של ישראל. על השער התקין שלט "בית העלמין היהודי". השלט רשום בשלוש שפות: רומנית, עברית ואנגלית. שלטים קטנים יותר הנושאים כתובת באותן השפות, ממוקמים על בית הספר מספר 2, ועל עמוד החשמל ליד בית הכנסת הישן. מר אברהם גלדמן, נשיא קבילת יהודי יאש. מר רוזנברג רודולף- מנהל טקסים דתיים. מר רוטנשטיין קרול, מר לוזרנו אלברט- היועצים המשפטיים. מר שטיינבררג ומר ברנרד- מורים לשיווק בעיירה "חוש". בבית העלמין נערך טקס אזכרה לנפטרים ואדמה שהובאה מירושלים, ארץ הקודש, פוזרה. היות והטקס נערך בשפה הרומנית יכולנו להבין את התפילות, שאינן שונות בהרבה מהתפילות של האורתודוקסים והקתולים. כולנו מייחלים שנשמות מתינו יכנסו למלכות שמיים, למלכות האל. בתום האזכרה מר מרסל אדריאן גלסקי וראש העיר, המהנדס ניקולאי בוטזטו, נשאו נאום קצר אשר הציג בפני הקהל את שלט ההנצחה של בית העלמין. לאנשי הכפר, שסללו את כביש הגישה לבית הקברות היהודי וידעו במדוייק על כמה ממצאים היסטוריים. בנוסף הוקדשו מילות תודה למר יון בישוג וסנדו באלינט שהקימו צוות עובדים צעיר הדואג כעת לבית העלמין. The cemetery is located on a hill north of the town of Rǎducǎneni. See location on Google map below. as he remembered it in the past. Viorel Vartic lives in the last house before arriving at the cemetery. List of contributors to the restoration fund. Any contributor wishing to see the balance sheet, please contact me. The earliest grave found so far. caused by an earth quake ?